The magazine features a 6.5 Grendel specific design, heat-treated steel body, durable coating, reinforced floor plate tags, steel floor plate with integral locking plate, fully-deburred feed lips, and white state-of-the-art, anti-tilt follower. Precision manufacturing produces consistency from one magazine to the next. Magazine body shape is the same as a 20-round .223 magazine. 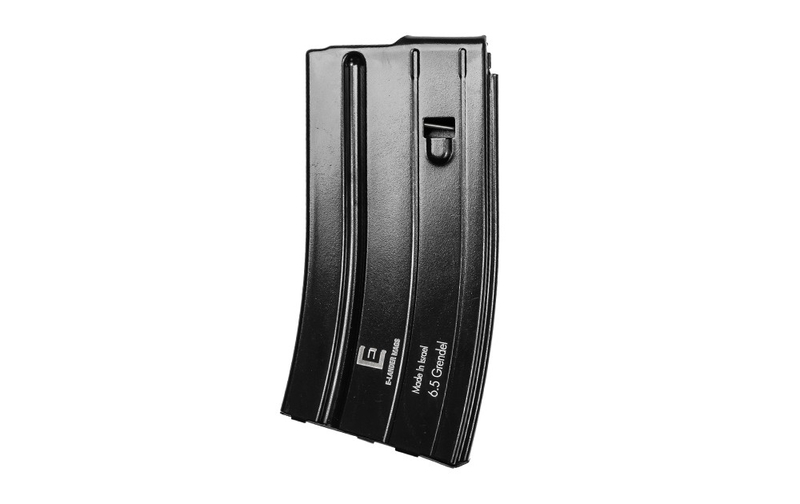 The magazine has a capacity of 17 rounds. 6.5 Grendel magazines will feed only 6.5 Grendel ammunition.